Ben welcomes instructions in all areas of Chambers’ practice including general civil, personal injury, property and housing, family, immigration, crime, and regulatory law. 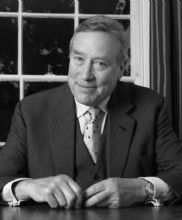 Ben has developed an extensive practice in Civil matters, regularly appearing in the County Court in cases involving contractual disputes and recovery of monies. He acts for both Claimants and Defendants in cases concerning both liability and quantum disputes. Ben has experience of making applications to strike out pleadings, to obtain relief from sanctions, and to set aside court orders. He also undertakes drafting and advisory work. Ben has been instructed by a number of Local Authorities in cases involving social housing and claims for possession. He has appeared in the High Court in respect of an application to set aside an order staying the effect of a possession order as well as in numerous County Court hearings. Prior to joining 4KBW, Ben taught Property Law to undergraduates and post-graduates. Ben regularly acts in private law children work including applications for Child Arrangements Orders, Prohibited Steps Orders and Specific Issue Orders. His experience includes dealing with cases featuring vulnerable individuals and allegations of domestic abuse and substance abuse. Ben has acted for parties both seeking and resisting Non-Molestation Orders. Ben also accepts instructions in financial remedies cases, and has extensive experience of drafting in family matters. Ben is often instructed in immigration matters before the First-Tier Tribunal. He has wide-ranging experience in appeal hearings and bail applications. Ben welcomes drafting and advisory work. Ben’s criminal practice involves regular appearances in the Magistrates’ Youth and Crown courts on behalf of clients charged with a range of offences. He has conducted numerous trials, and also has experience of making bail applications and appealing sentences and convictions. Ben receives numerous instructions to defend in road traffic matters. Ben sits as a Clerk to the Panel in school admission appeals. Ben studied Law at the University of Oxford and was called to the Bar by Inner Temple in 2014. 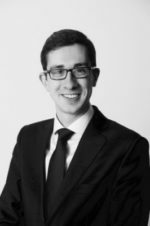 Prior to commencing pupillage, Ben worked as a researcher at a leading construction law chambers, and was a full-time tutor teaching property law, trusts law and environmental law to university students.